Nashville, TN -- Rural Rhythm Records is proud to announce that Marty Raybon’s song “Dirt Road Heartache”, written by Melissa Pierce and Jerry Salley, goes to the #1 position on the June Bluegrass Unlimited song chart. “Dirt Road Heartache” has been on the Bluegrass Unlimited song chart for eleven months and is from Marty’s Southern Roots & Branches album released on Rural Rhythm Records in April of 2012. 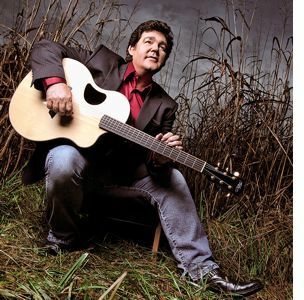 Nashville, TN -- This past weekend, Marty won two Country Gospel Music Fan Awards including Favorite Soloist along with the award for Favorite Song, "I'm Working On A Building." The awards ceremony took place April 28th during the 2012 Country Gospel Music (CGM) Awards Program presented by Christian Voice Magazine held at the Smoky Mountain Convention Center in Pigeon Forge, TN. CGM Fan Award recipients were decided upon solely by Country Gospel Music fans who voted in a two-phase voting process held at ChristianVoiceMagazine.com. 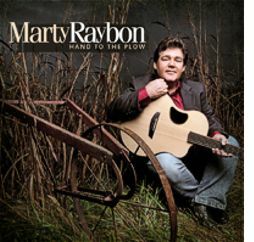 Nashville, TN -- The highly anticipated new album by Grammy® award winning bluegrass music artist Marty Raybon has now hit the streets. Southern Roots & Branches (Yesterday and Today) on Rural Rhythm Records contains classics from Marty's earlier albums and some new original songs to represent Yesterday and Today. The outstanding acoustic version of Shenandoah's big hit, "I Want to be Loved Like That" is not only a big hit but, also a fan favorite. 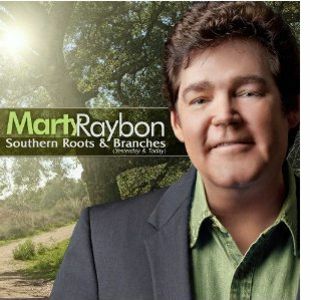 Nashville, TN -- Rural Rhythm Records is very proud to announce the April 10, 2012 new album release Southern Roots & Branches (Yesterday and Today) by Grammy® award winning artist, Marty Raybon. The upcoming album contains classics from his previous solo albums, new original songs, and a wonderful acoustic version of Shenandoah's big hit and fan favorite "1 Want To Be Loved Like That." Nashville, TN -- Rural Rhythm Records is very proud to announce another new single release, "Dirt Road Heartache" by Grammy® award winning bluegrass-gospel artist, Marty Raybon. This bluegrass barn burner was written by Melissa Pierce and Jerry Salley and is the first single from the upcoming album, Southern Roots & Branches releasing April 10, 2012 on Rural Rhythm Records. "Marty Raybon on his game and at his best," said Terry Herd (Bluegrass Today & Bluegrass Radio Network).